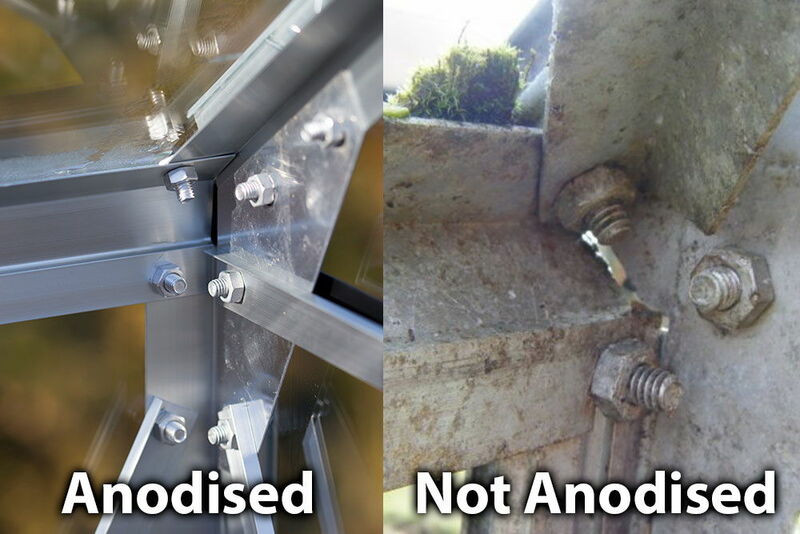 The attractive curved eaves are made from u/v protected acrylic panels which join the roof glass and the integral gutters. 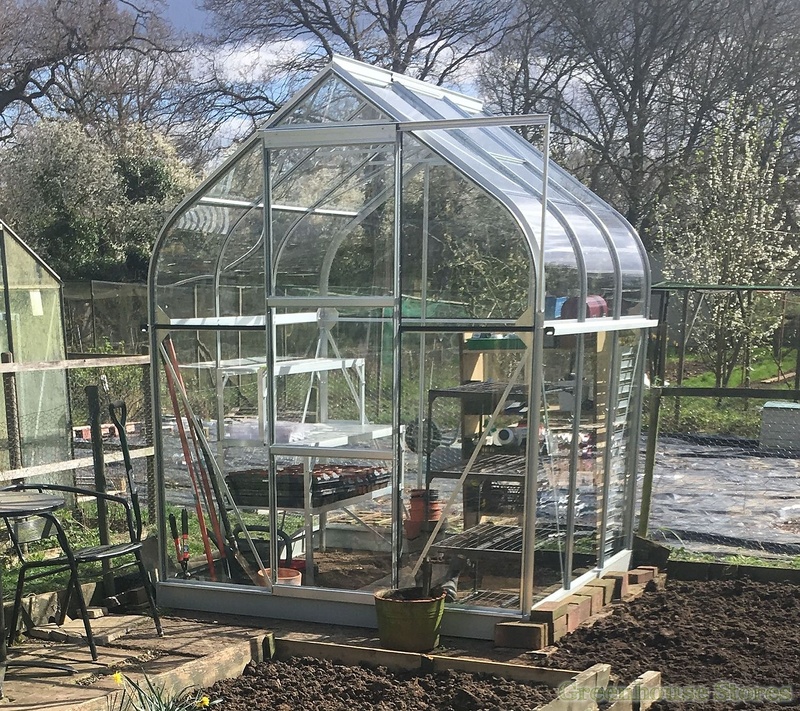 The Orion is the only curved eaves 6ft wide greenhouse available to feature proper guttering to collect rainwater..
1930mm (6ft 4") Wide Aluminium Greenhouse - Perfect size for most gardens. 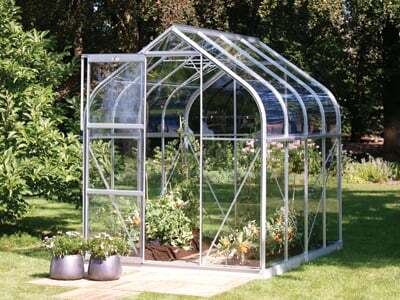 The 8x6 Silver Vitavia Orion 5000 Greenhouse uses u/v protected acrylic panels for the curved eave sections. Beautiful ! 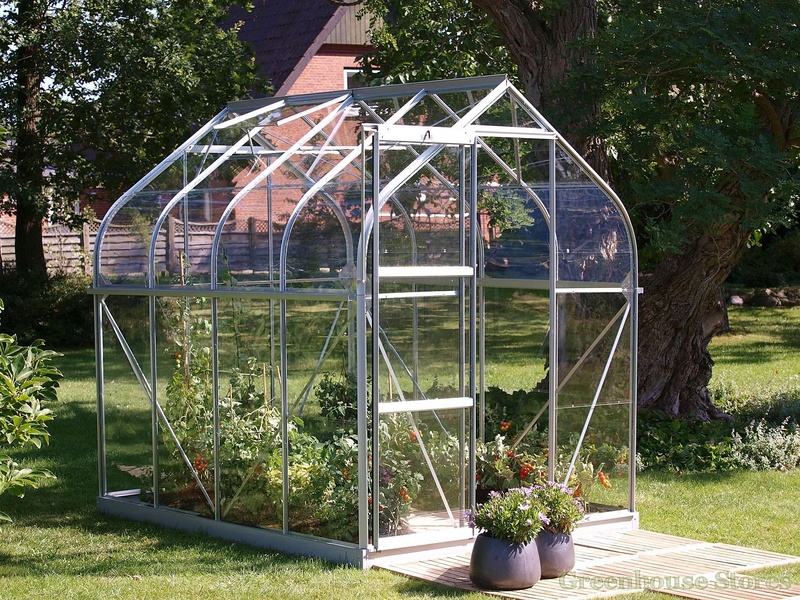 The curved eaves on the Orion really do look smart and set this little greenhouse apart from the crowd. 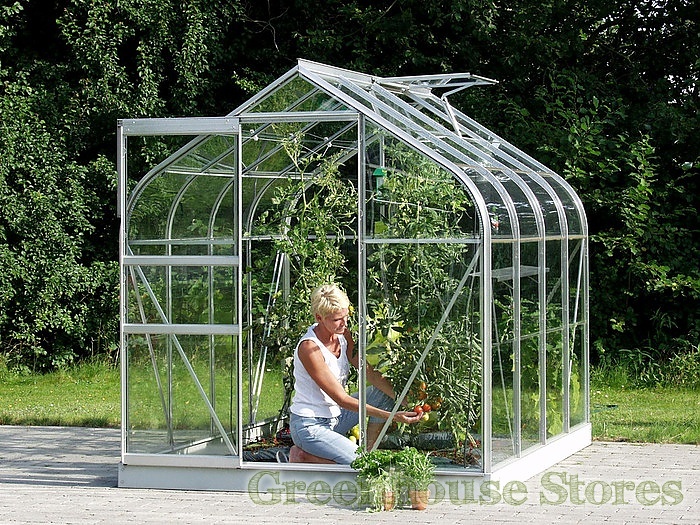 The Vitavia Orion is also the only curvy greenhouse available with integrated gutters, so no wasting all that lovely rain water ! 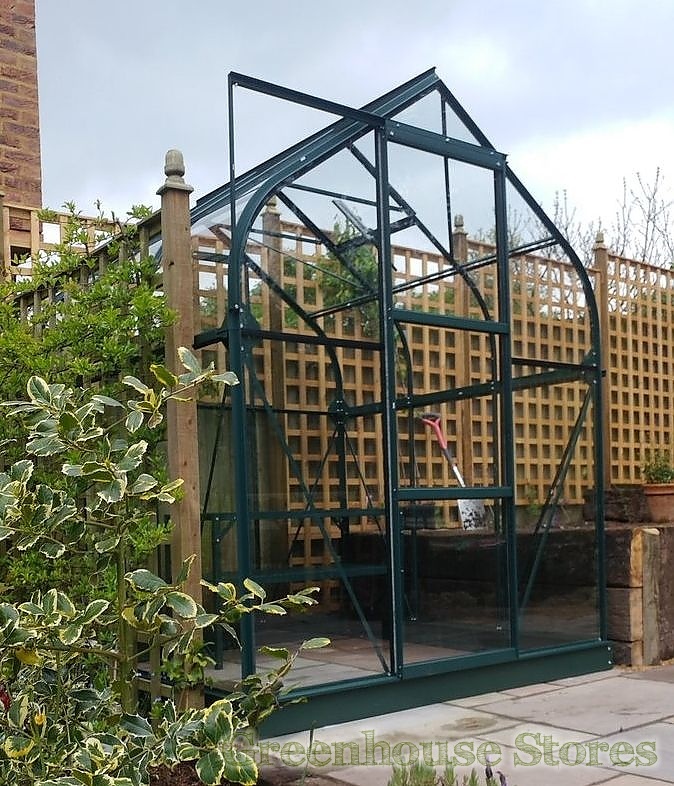 The Orion benefits from high eaves to give room for high plants and the ridge height is a whopping 7ft 6" without adding a metal base ! 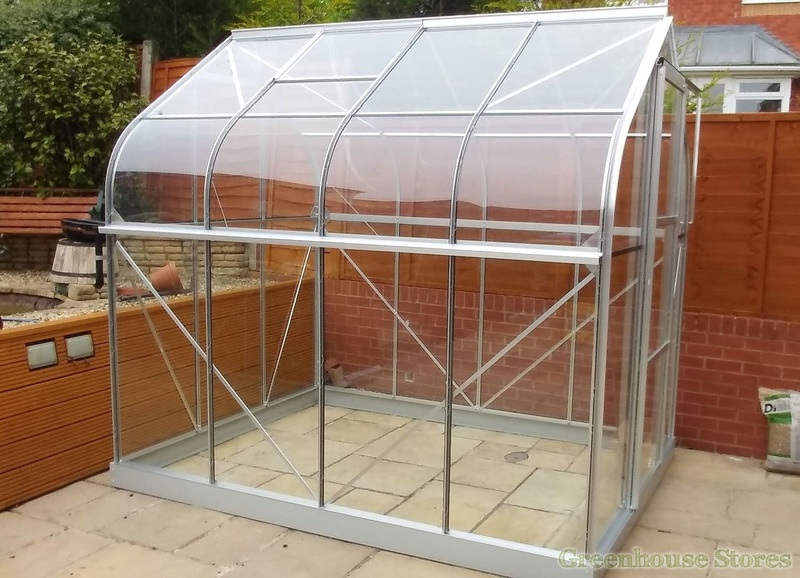 This Vitavia Orion 8x6 has a single opening roof vent for ventilation, a smooth single sliding door and integral gutters.